“Anyone who follows our league will know that Callum was simply brilliant for us last season. He started the campaign determined to prove that he could be the best in the division and his work rate, drive and attitude saw him more than make his mark come the end of the year. Last season demonstrated just how much he has matured as a player and I’m sure there isn’t a team in the league that wouldn’t want Callum on their roster for 2014/15. After a great year, Callum was inevitably drawing attention from teams higher up the ladder but his decision to remain here for another term show just how much this club means to him. 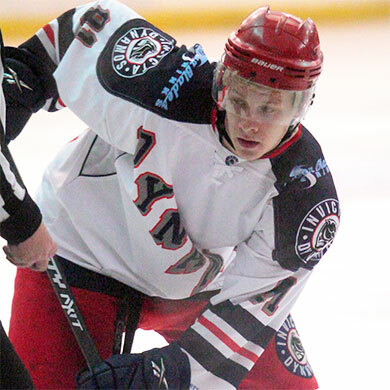 The Dynamos are his local side, he has a great standing with the supporters and he desperately wants to win some silverware in a Mos jersey – something we will all be working towards when the puck drops in September”.